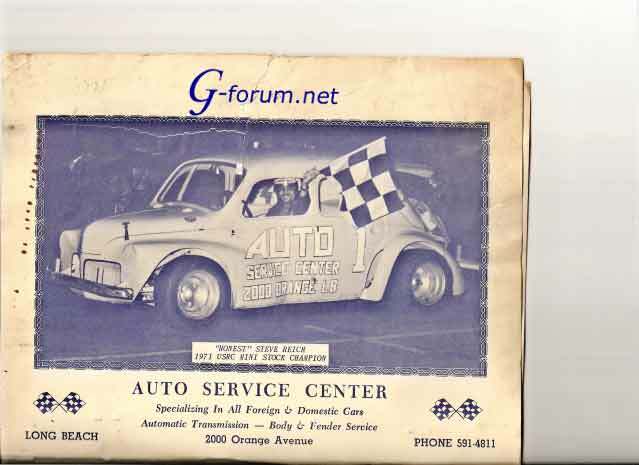 The first one was the first car John enter in the oval race with a 1108cc engine(4 CV), and finishing the season with a 1448 Gordini and wining the title. 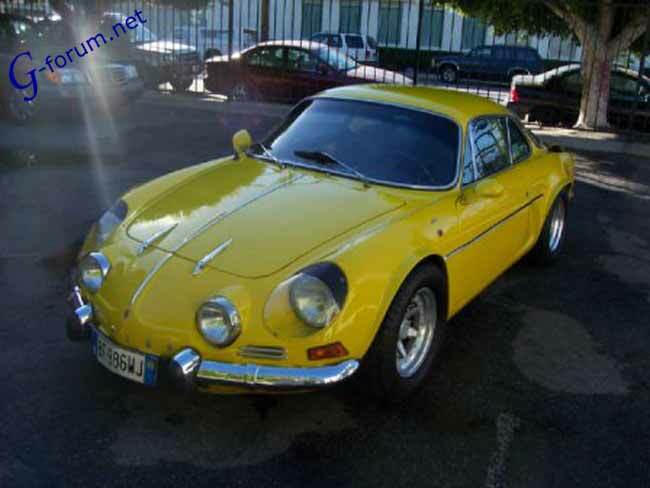 The third one is the engine that John prepare for the next picture, wich is a Dinalpin, reconvert totally to a Alpine 1600cc. 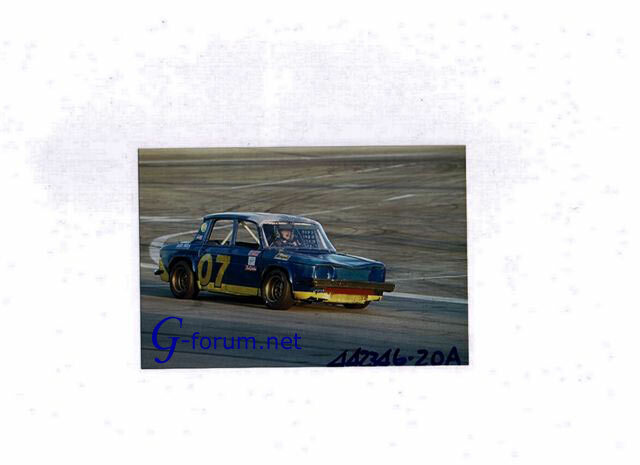 Here is a fast R8 with Gordini 1700 cc. 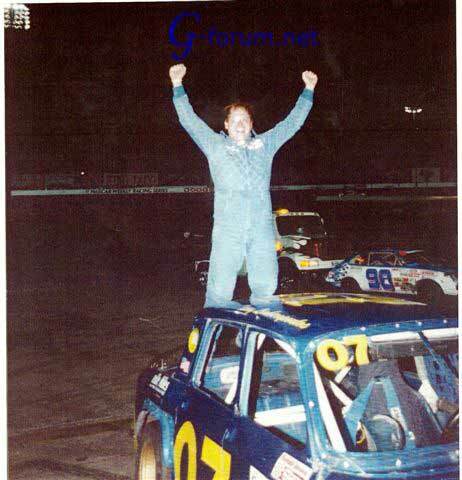 On oval track 1/2 mile The driver is John Limberopoulos of Cuba Missouri USA. 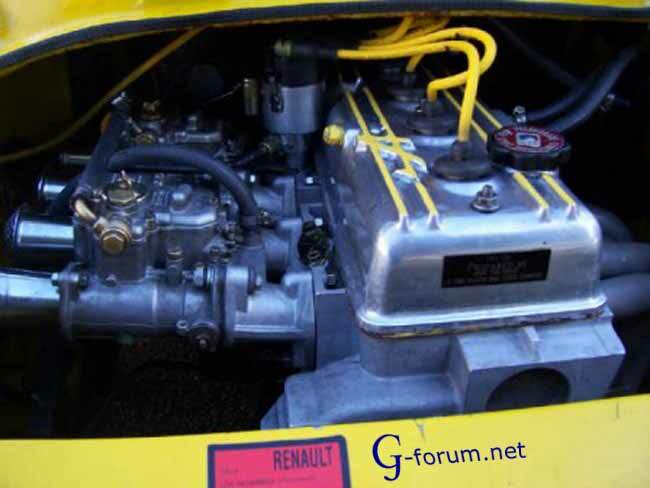 John as 9 Championship trophes with this car.He start with a 4cv with a 1448 Gordini engine. PS: to give you a idea for the speed of Gordini, Sportsman cars with big V8 are lapping the track at 17 seconds, John with a small 1700cc was turning 17.85 seconds, a very good time for such a engine. Here you go, Jukka, the guy on top of the car, is Terry,. 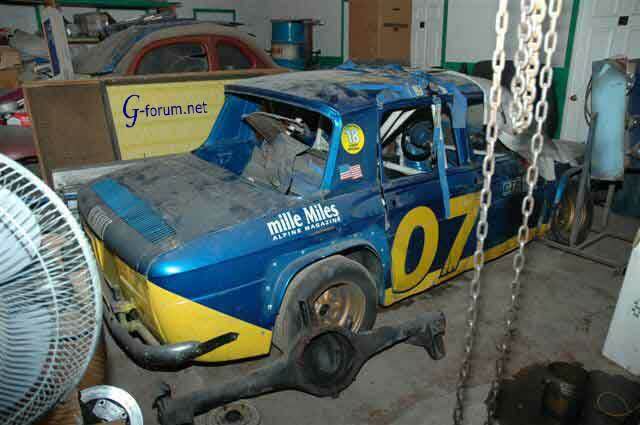 John's son who win the championship last year with the R8 Gordini, that John prepare for him. 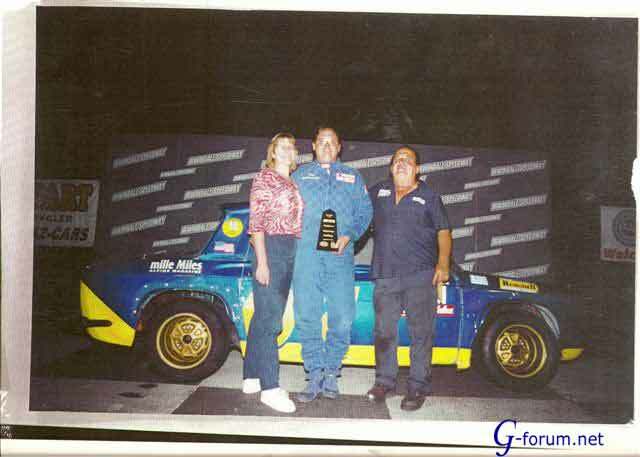 the other pics is John ,Terry, and the trophy girl next to the Gordini Champion of the 1/2 miles track and 1/4 miles Oval.